I'm so addicted to getting things that I can reuse! I have had cloth bags for years. They are good for many things, such as daily lunches. Recently I've been getting and using silicone bags. 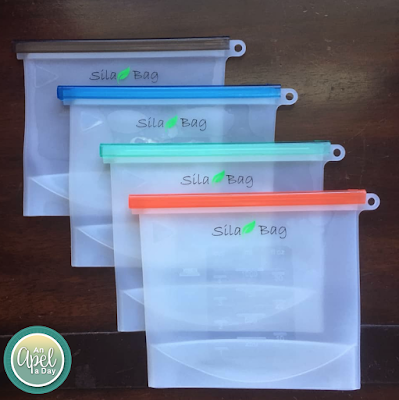 Each bag comes with a different colored top! I can say, "Mica get me the bag out the freezer that has the red top." He'll come up with the right bag! Yay! The tops are hard for kids to slip on and off. They are even hard for adults to slip on and off the first few times. I don't know if I'll use them for soups. For us glass containers that you can just throw in the microwave are easy peasy for soups. I will use these for berry picking, tomatoes that we've processed, but haven't canned yet. I also make a wellness drink that's packed with anti inflammatory goodness! Usually when I make that I put 1/2 of it in the freezer. 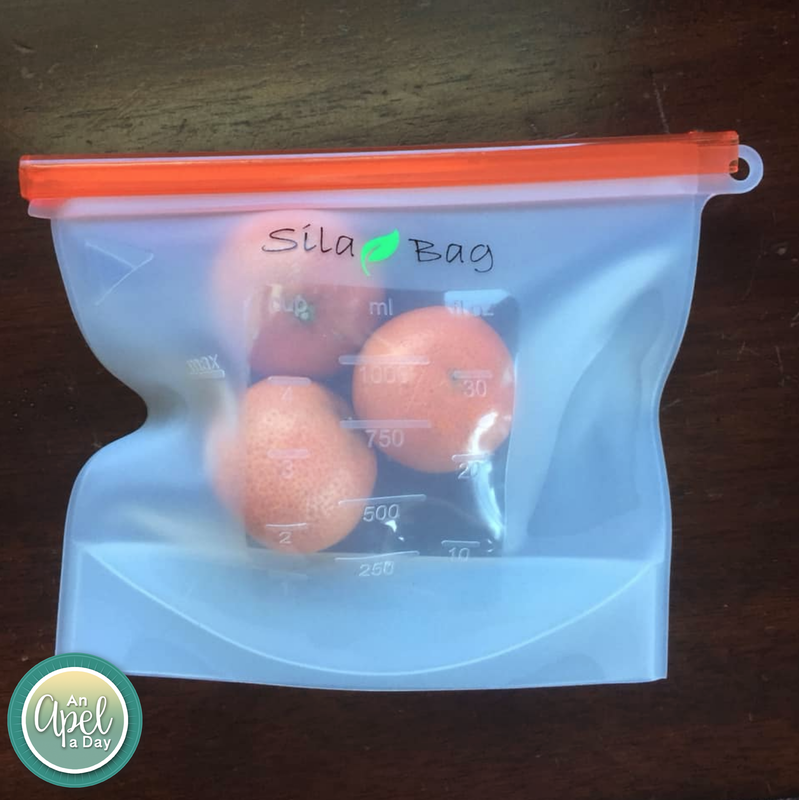 These bags are wonderful for storing that in! It's so wonderful that they can go in the freezer! 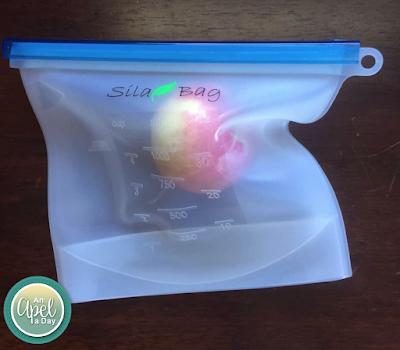 I like the bags for produce because they keep the moisture of the fruits and veggies locked in. Net bags don't do that. I'm often left with rubbery tasting veggies. Net bags do work for bananas. We take them out anyhow. An Apple 🍎 a day for an Apel a Day. Sila Silicone Storage Bags are both. The silicone is food grade! They wash up easily. What type of bags do you use in the kitchen? Disclaimer: I got this product for a discounted price in exchange for an honest review. I only review products my readers, and/or family will find helpful. I love product that can be reused over and over again. These would be amazing in the kitchen and for work/school lunches! I love that each bag comes with a different colored top. These would be really useful in the house. these bags are very sustainable and environmentally friendly. Love it!